Ireland Inc. provided an update on the technical program of its ongoing precious metals extraction process at the Columbus Project, located in Esmeralda County, Nevada. Sphinx Resources Ltd. is pleased to announce that ten (10) drill holes, totalling 969 m, have been completed on the Green Palladium project (the "Project") held 100% by Sphinx. 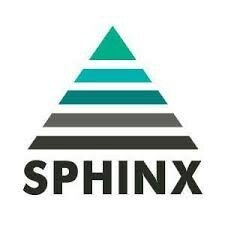 Sphinx Resources Ltd. ("Sphinx" or the "Corporation") is pleased to announce the beginning of a drill program that will consist of nine (9) drill holes, totalling 700 m, on the Green Palladium project (the "Project") held 100% by Sphinx. This program is designed to test new targets developed from the HELITEM30C MULTIPULSE™ airborne survey completed in 2016 and from geological interpretation of previous drill results. Research and Markets has announced the addition of the "Global Precious Metals Market 2017-2021" report to their offering. The global precious metals market to grow at a CAGR of 4.07% during the period 2017-2021. Platinum Group Metals Ltd. ("Platinum Group Metals" or the "Company") reports that the Waterberg Platinum and Palladium project (the "Waterberg Project") is advancing to the preparation of a Feasibility Study ("FS"), with the Japan Oil, Gas and Metals National Corporation ("JOGMEC"). 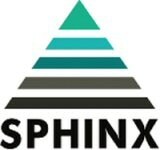 Sphinx Resources Ltd. ("Sphinx" or the "Corporation") is pleased to announce new platinum group elements ("PGE") targets on its 100% owned Green Palladium project located in the Pontiac Regional County Municipality of southern Quebec, including the extension of the stratabound PGE reef discovered in 2015. Noront Resources Ltd. ("Noront" or the "Company") is pleased to confirm the closing of the previously announced MacDonald Mines property acquisition, and provide an update about its ongoing exploration program. Platinum Group Metals Ltd. ("Platinum Group Metals" or the "Company") reports new platinum, palladium and gold ("3E") assay results for recent drill intercepts completed on the Waterberg Project subsequent to the updated independent resource estimate announced on April 19, 2016. North Arrow Minerals Inc. is pleased to announce that the winter 2016 exploration drilling program is underway at the Pikoo Diamond Project in central eastern Saskatchewan. Approximately 2,500 m of drilling is planned to fully delineate diamond bearing kimberlite discoveries made in 2013 and 2015 and to test new targets identified from recent geophysical surveys. Ground geophysical surveys of selected target areas are underway and the drill is to be mobilized to the property this week. The program is expected to run through to the end of March 2016.